There are a lot of killer titles coming out in 2015. Just to name a few, there’s Furious 7, the second Avengers movie, a new Star Wars movie, Mad Max, Pitch Perfect 2 and so many more. What upcoming movie is talked about most in your household? I can't wait to see the new Star Wars. Admittedly, with the shaky past of the franchise, I'm nervous about the next film. I'm not a fan of what JJ Abrams did to Star Trek, and I certainly don't want to see another Phantom Menace, but that doesn't change the fact that it's Star Wars, how can any self-respecting geek not be excited! The Hobbit. I'd been hoping to see it this Christms break as soon as it opened but I got a cold. Hopefully next weekend then. The Theory of Everything, which I am going to see next week. I cannot wait for Star Wars. I like JJ Abrams, but I'm not a massive fan of his Star Trek interpretation. However, he didn't ruin it either. 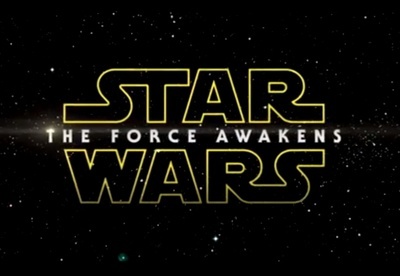 Definitely Star Wars but it's going to be a long wait, a December 2015 release. In 2016 it will be Star Trek.